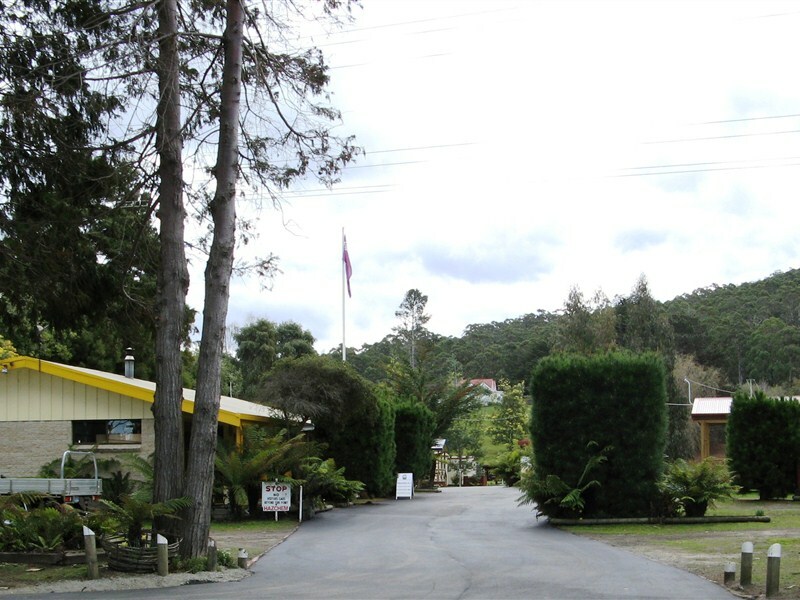 Smugglers Rest self-contained units are located at Dover in southern Tasmania. 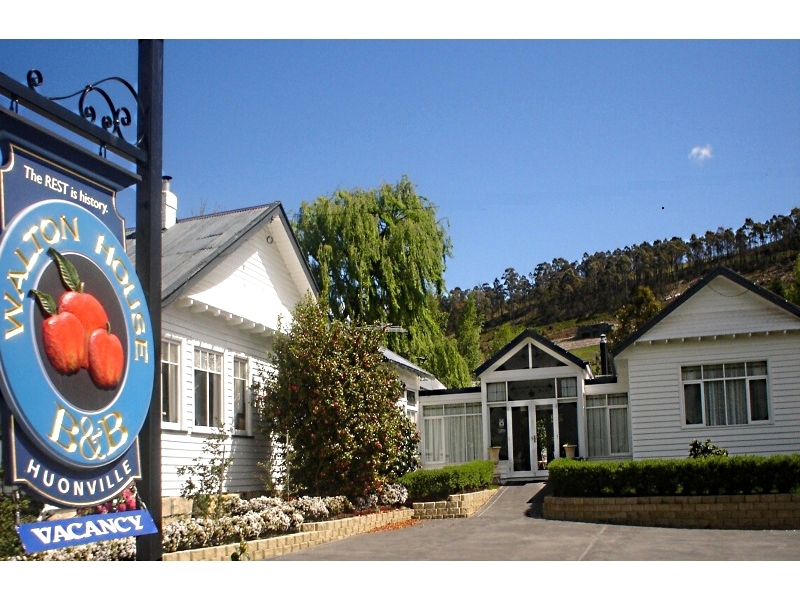 Dover is one of Tasmania’s southernmost towns. 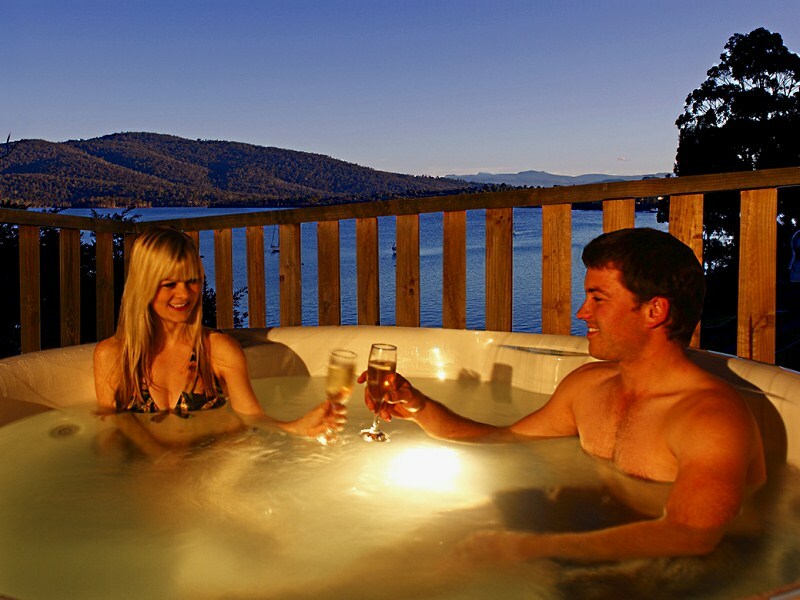 It is a one-and-a-half hour drive from Hobart (81 kilometres) via the Huon Highway. 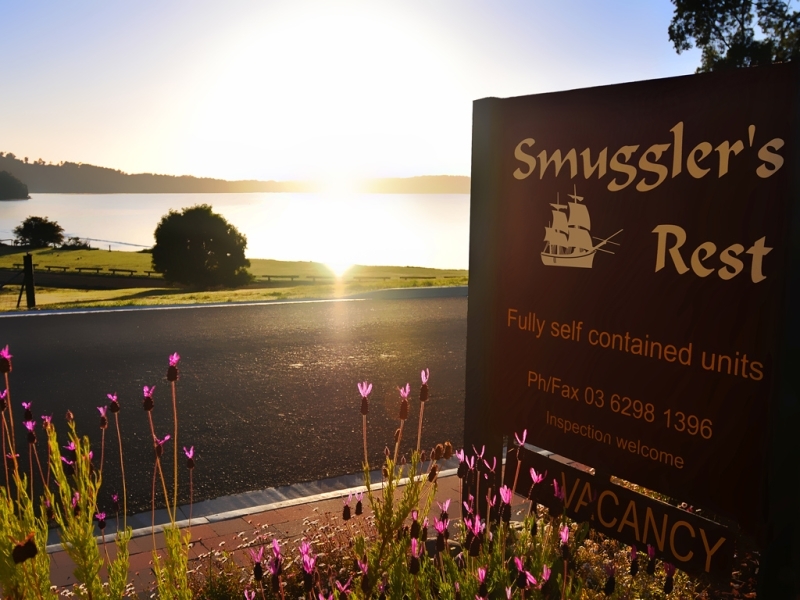 Smugglers Rest has a choice of two-bedroom beach-view or studio garden-view apartments. 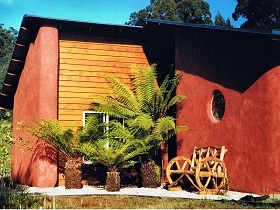 Facilities include a fully-equipped kitchen, dining area, ensuite bathroom and guest laundry. 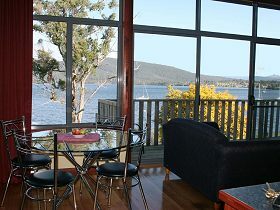 The open-plan units have reverse cycle heating and cooling and there is a television and DVD player in the living area. These units are surrounded by tranquil gardens and have an outdoor barbecue/dining area. 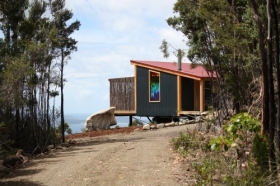 The property is located on Dover Beach overlooking the islands of Faith, Hope and Charity in the D’Entrecasteaux Channel. Pushbikes, fishing rods, golf clubs and DVDs are available for guests. You can go fishing, swimming or boating from the jetty, which is a short distance along the beach. Visit the Hastings Caves and thermal pool, or drive further south to Cockle Creek and the beginning of the challenging South Coast Track. You can go bushwalking in the Hartz Mountains National Park or visit the Tahune Airwalk at Geeveston.